Korean skincare is having a bit of a moment recently, and tbf, it's for good reason. 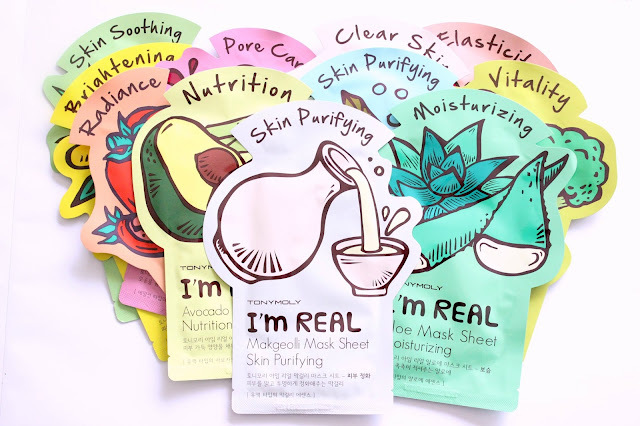 The Korean's believe in layering products, and their skincare routines have double the steps that our usual routines consist of. In all fairness, those girls always have the most beautiful glowing skin so it clearly works. 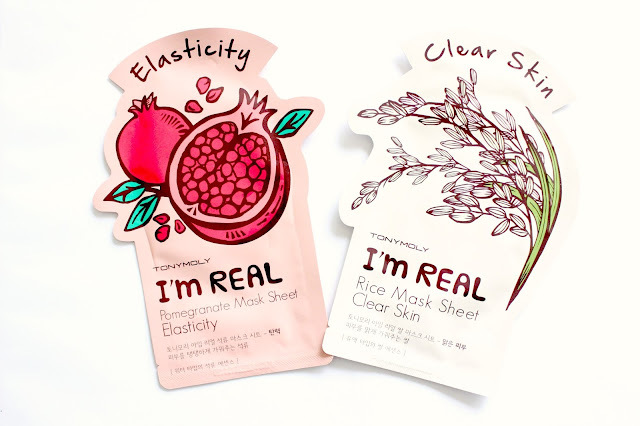 Sheet masks in particular have become so popular of late, so I took to the internet to see which Korean brand was top, and most importantly, affordable. (I ain't paying £10 for one mask let me tell ya). I found a lot of reviews claiming that Tony Moly were an amazing brand for sheet masks, and I found the full set of 11 masks on Amazon for £10.99. (NB. NOW DOWN TO £8.48 here). At £1 a mask I ordered them instantly and they arrived the next day! I bloody love Amazon Prime! Don't worry, I'm not gonna show you a picture of me wearing one of the masks as I wouldn't wish that vision on anyone, lolllll! 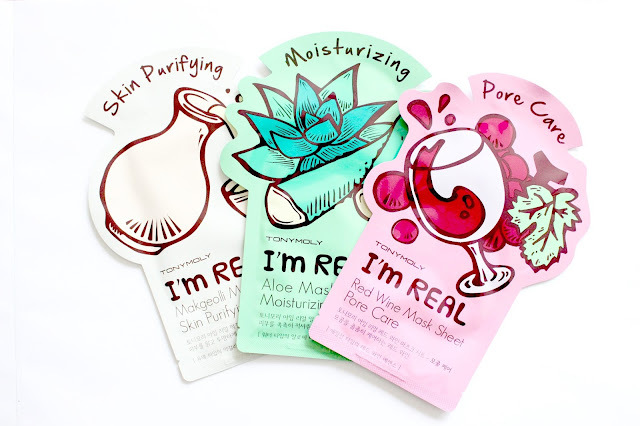 They're like you're usual sheet mask - decent sized eye, nose and mouth holes and really moisture filled! 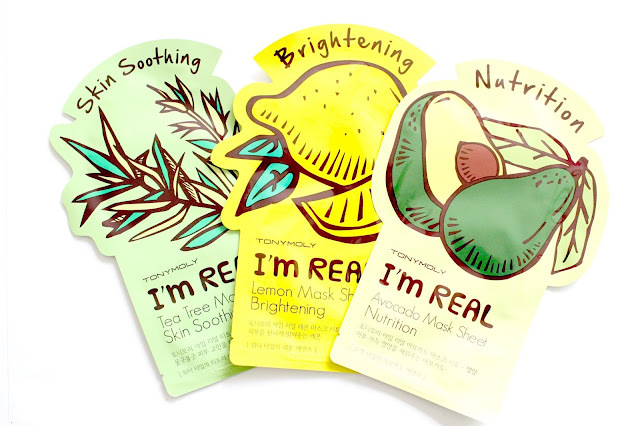 I've tried all 11 masks so I could give you my views, and boy are they good!! The smell of tea tree always reminds me of my teenage years. Not that I had particularly bad skin, but I always loved a good bit of tea tree skincare. I actually thought this would dry my skin out a bit, but it didn't. Admittedly not one of the most nourishing masks, but it did feel cooling and soothing. As you might expect, this mask feels cooling and citrussey, and I'll be honest, I wasn't overly impressed when it was on my face. I thought it felt drying, and worried that my skin was gonna be really tight afterwards. It did feel drier than the other masks after removal, but felt fine once I applied some moisturiser. I didn't really notice much difference instantly afterwards, but I got a real surprise the next morning. My skin looked so bright and glowy and I noticed my makeup applied so much better. Definitely a slow burner this one! My favourite out of the whole bunch. 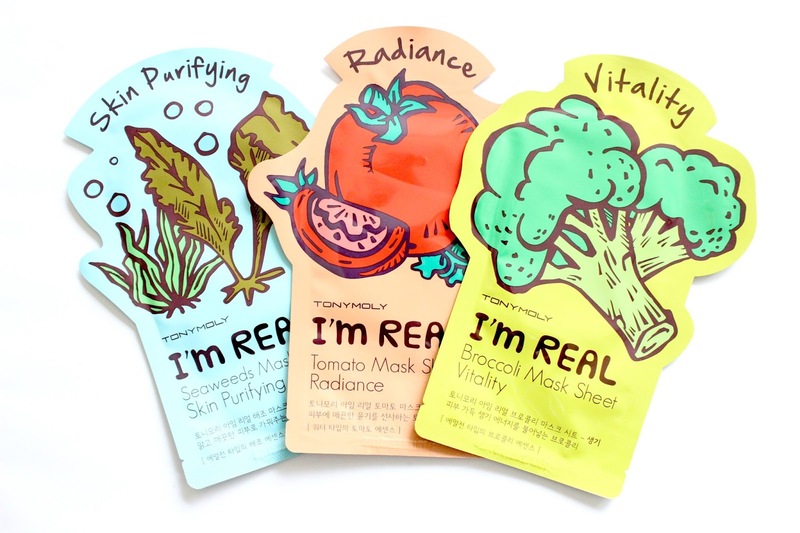 It deeply nourishes, plumps, brightens, softens - basically it's just a miracle mask. I'd purchase it time and time again. Has a lovely, clean scent. I worried that this would be far too drying and one suited to more oily skins. Whilst it wasn't the most moisturising, it wasn't stripping and left my skin clear. I went in with a facial oil and moisturiser afterwards, just to be sure. I used this one on the afternoon before I was going out to a hen party, as I wanted to add a bit of radiance under my makeup. I'm happy to say it doesn't smell like tomatoes, and it did add a lot of radiance and made my makeup glide on like a dream. Don't worry, it doesn't smell like actual broccoli. This one didn't really have a scent, but it did feel cooling and refreshing. Not massively hydrating though, so I did go in with a serum afterwards. I thought my skin looked brighter the next morning. Not gonna lie, not a clue what makgeolli is. Don't judge me! I worried that this one would be a bit too stripping for my dry skin, but I was again pleasantly surprised. It felt cooling and deeply cleansing, but not harsh. It left my skin feeling clear, but it wasn't the most moisturising. Ahhh, definitely one of my faves! It's a deeply hydrating, nourishing mask that did amazing things to my dry skin. My skin felt brand new and so healthy. One to stock up on for sure! Disappointingly, this doesn't actually smell like red wine. How relaxing would that be? Red wine seeping deeep into the pores - mmm! Aside from that, this is actually a really nice one. As I've got dry skin, I always get scared of pore minimising/clarifying products, as my skin gets SO tight and uncomfortable. This didn't do that though. It was comfortable, it felt nourishing and really brightened up my skin. Can't say this did much to my skin to be honest. I'd say this is ok for an every day pick me up, but didn't do much in terms of hydration, which is what I love in a mask. Now this one says clear skin, which makes me think of oily, troublesome skin, but I'd say it's more of a soothing mask for sensitive skin, aka mine! It felt really nourishing and comfortable and left my skin feeling soft and smooth. It's a lovely mask that I would use time and time again. My faves? Avocado, Aloe & Rice. Have you tried any sheet masks? I'd love to try some other brands if you have any recommendations?